Jean Barbre, EdD, has a passion for helping the youngest children learn and grow in nurturing environments. We asked Dr. Barbre about responsive caregiving and how she hopes her books will help you grow as a professional and increase the quality of care you provide to infants, toddlers, and two-year-olds. Read on, and you’ll also learn how roses, apple pie, and travel fit into Dr. Barbre’s free time. 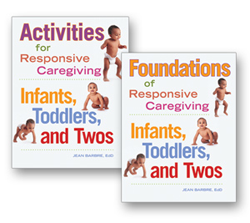 Your new books, Foundations for Responsive Caregiving and Activities for Responsive Caregiving, are great resources for early childhood professionals. For someone unfamiliar with the concept of responsive caregiving, how would you describe it? Responsive caregiving is the cornerstone of quality care for infants and toddlers. Responsive caregivers provide a nurturing, caring, and stable environment for young children and respond to their individual needs in a loving way. How did your interest in responsive caregiving begin, and how did your interest turn into the idea to write these books? 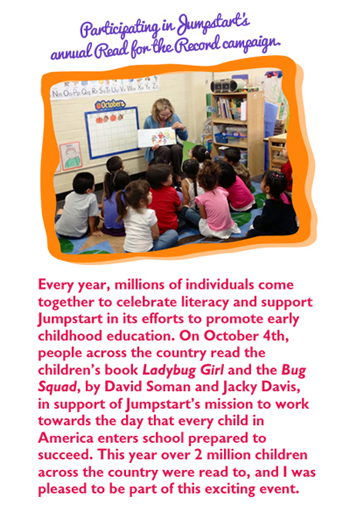 For many years, I trained early childhood educators at local, state, and national levels. Most of my trainings were designed for preschool teachers. At these trainings, there were always people in the audience who either worked or planned to work with infants and toddlers. 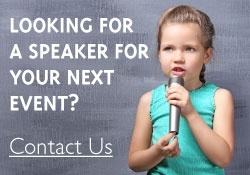 They would repeatedly ask me, “How do I adapt what you presented to infants and toddlers?” From that, I made a conscience decision to focus my presentations, outside of my regular job, on infant and toddler care. I feel there is a resounding need for information on caregiving and curriculum development for infant and toddler caregivers. My idea to write these books came out of these presentations and the voice from the field. Your books mention the importance of secure relationships and attachments. Why are they so crucial? Infants and toddlers learn about the world and their place in it through the relationships they build with their parents and caregivers. Early relationships and secure attachments help children develop feelings of trust and a sense of security. Forming secure relationships and attachments are primary tasks for children during their first three years of life. The relationships children form in their earliest years shape their relationships throughout life. Research shows there is a strong correlation between children’s secure relationships and their emotional well-being. What can caregivers expect to gain from reading your books? I hope that readers will gain a sense that what they do and say and how they respond to both children and their parents is important. Caring and responsive behavior begins when children enter your classroom. How you meet and greet them, how you plan activities, and how you show a loving and caring attitude to the individual needs of each child and family greatly impacts growth and development. I hope that readers will be validated in their role as a care provider and draw inspiration from the information and activities in these books. My goal is for teachers to grow as providers and increase the quality of care they provide infants and toddlers. When you’re not busy with work-related tasks, what do you love to do? I love to spend time with my family and friends. I am blessed to have a great support system. I love to spend time in my garden—I have a bit of a green thumb. I have over 50 rose bushes to care for and enjoy bringing fresh cut flowers into my home. I also enjoy my two yellow labs and love to watch them run and play in my backyard. One of the other things I love to do is bake. I have to admit that I don’t always follow the recipe, but I am known for my apple pie. Speaking of free time, do you have a favorite travel destination? When I was in college, I had the opportunity to travel around the world as a student on Semester At Sea, which is a shipboard program for global study abroad. This experience introduced me to many countries and cultures throughout the world. 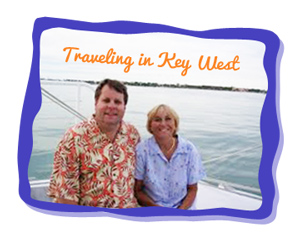 I have continued my passion to travel over the years with both family and friends. I don’t have a favorite travel destination because there are so many wonderful places in the world. Through my travels I’ve seen many amazing cities and had some exciting adventures, including taking a safari in East Africa, seeing the Taj Mahal in India and the Blue Mosque in Istanbul, and zip lining through the rainforest of Costa Rica. I have visited many child care centers around the world and always enjoy learning about how other cultures care for their children. I will be traveling to Thailand next year and hope to meet with teachers and tour several schools while I’m there. Take time for yourself. We lead very busy lives and caring for infants and toddlers takes a lot of energy and a lot of patience. Children deserve the best we have to offer so remember to take care of yourself. If you find that you’re overly tired or irritable at work, find ways to rejuvenate yourself at home. Take time for yourself by listening to music, talking with a friend, or reading a book. Taking care of yourself will improve the quality, love, and care you provide the children in your program. Keep growing as a professional. The field is continually changing with new research, so continue taking classes and trainings, and reading books on infant and toddler caregiving. Constantly challenge yourself with new ways to improve your skills. Stay active in professional organizations. Networking with other professionals will keep you current and is a great way to share ideas with colleagues on ways to improve the quality of the care you provide young children. Learn more and see a full list of titles by Jean Barbre.